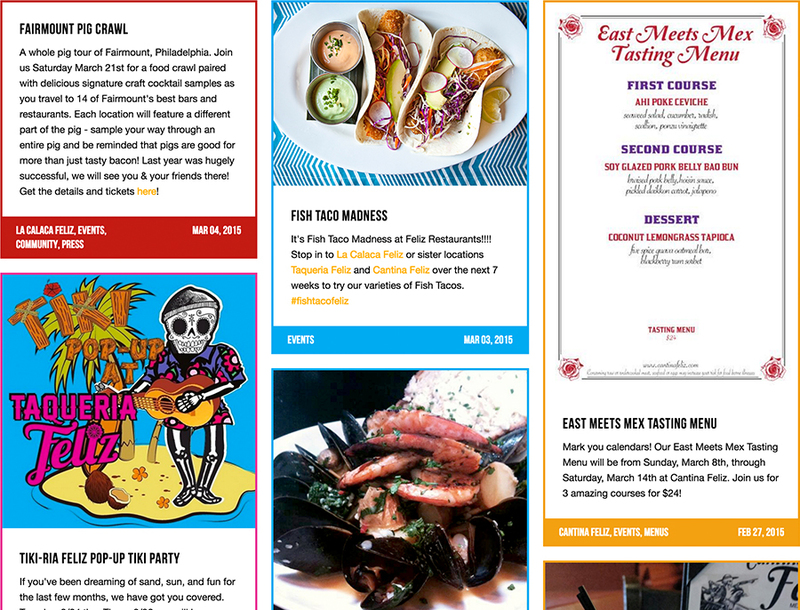 The eclectic and dynamic design on the Feliz Restaurants site captures the lively experience of dining within one of their 3 unique establishments. 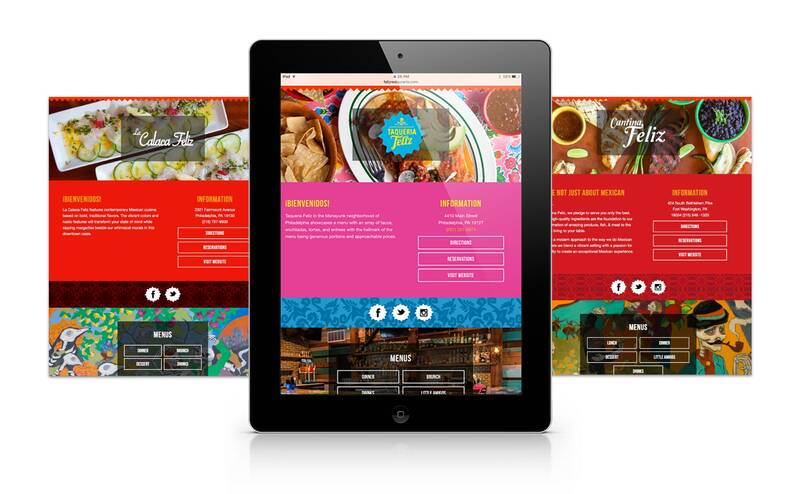 Our job was to create a parent site for the restaurants owned by Chef Tim Spinner and Brian Sirhal. With 3 successful restaurants and another on the horizon, it was time to build a home for all of the distinctive brands. We worked to incorporate the energetic elements of their established brands into a site that, as a result, could tell their whole story. 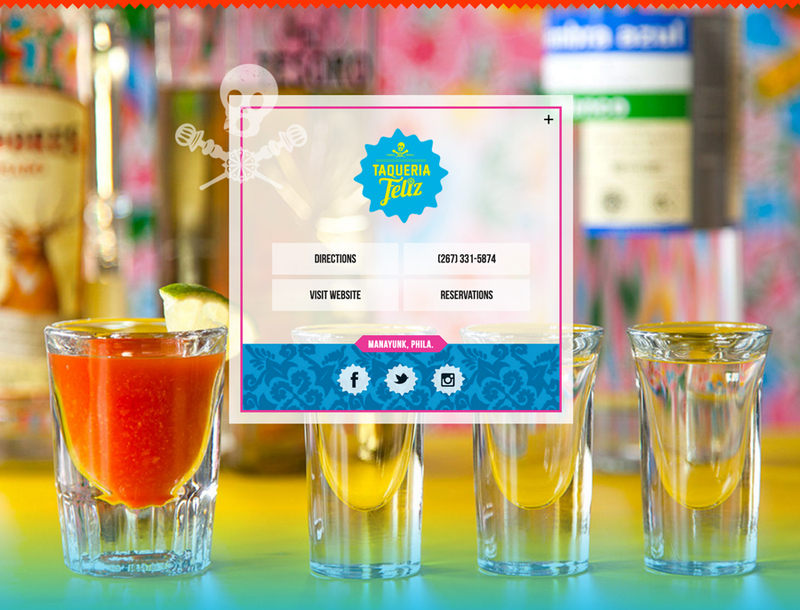 FelizRestaurants.com also provides an overview of detailed information for Cantina Feliz, La Calaca Feliz, and Taquiera Feliz. As a standard here at Humid, we developed this website so that it functions across all devices. 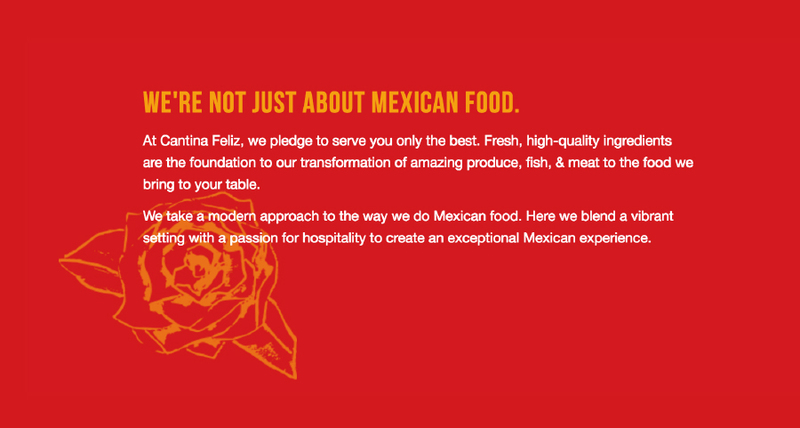 The site also has a flexible, easy-to-use CMS that allows Feliz Restaurants to update content as their company grows. 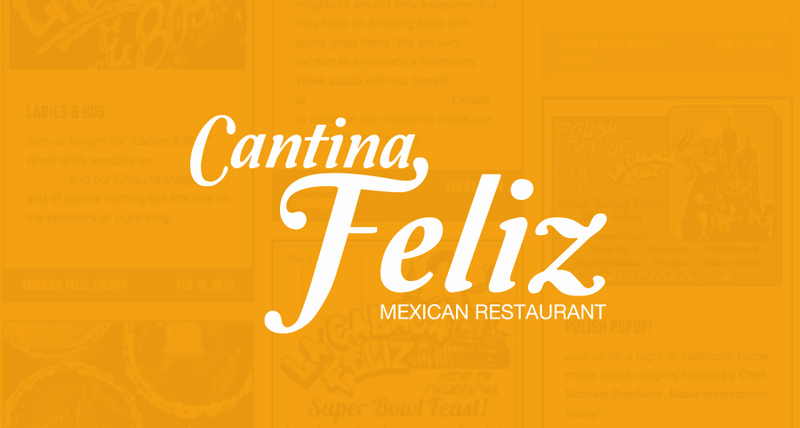 This site paves the path for bigger things to come from the Feliz family of restaurants.